Back in February, IMB Japan revealed a rather interesting VR project based on the Sword Art Online series called Sword Art Online: The Beginning. The project, labeled as a VR MMO, sounds very interesting on paper, but very little of it has been seen in the past few weeks. A few hours ago, however, a new video including some short gameplay sequences has been shared online. The new Sword Art Online: The Beginning video mostly focuses on the technology powering the project, but also features some short gameplay sequences like interactions with other characters and some short combat sequences. The project definitely looks a bit rough as of now, but things will surely improve as work on it continues. You can check out the new video right below. 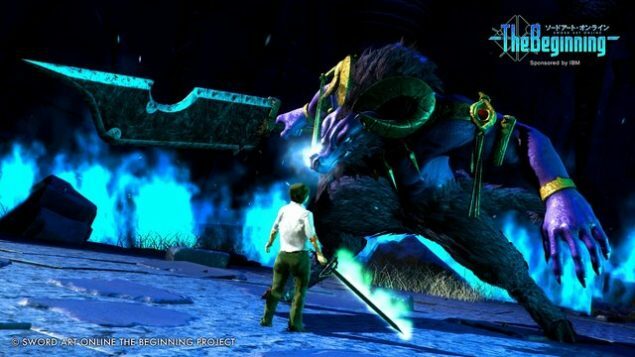 Some pictures taken during the Sword Art Online: The Beginning alpha test as well as some screenshots have emerged online last month. The alpha test, which ran from March 18th until March 20th, was apparently quite popular, with over 100,000 applicants. Of them, only 208 have been selected for the alpha test.